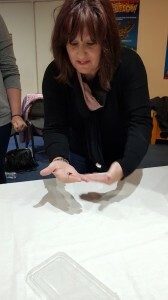 Hi Angela,Please find attached my feedback for Leni’s attendance of the spider phobia course. Thank you so much to you and Ray for helping us so much, it’s been a fantastic thing to do. “We just wanted to say a massive thank you for the spider course today. It was absolutely brilliant. My daughter and I couldn’t stop smiling after. I can’t believe how different we think about them now. I would never have believed my daughter would end up holding one as she was very fearful of them. 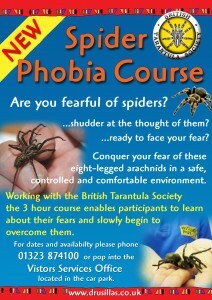 You are most welcome.It is great to see someone overcome what is a real fear. There is no good reason to be afraid of spiders. The vast majority of spiders are harmless and extremely beneficial invertebrates. There are no dangerous spiders in the UK. However millions of perfectly rational people have an irrational fear of them. Why? No matter how they try to be calm when confronted by a spider the response is always the same. Sweating, nausea, panic, rapid heartbeat and sometimes much worse can occur. Do spiders deserve this reputation? Here at the Naturally Wild Company we think not and we are now offering a three hour course that aims to assist the arachnophobe to not only overcome their fears but to leave with a better understanding of these much maligned creatures. 10.00: Health and Safety talk. 10.15: What are we afraid of? How phobias become stuck in our subconscious mind. Group question and answer session. 10.45: Everything you ever wanted to know about spiders but were afraid to ask. Talk and question and answer session presented by Ray Hale of The British Tarantula Society and The British Arachnological Society. 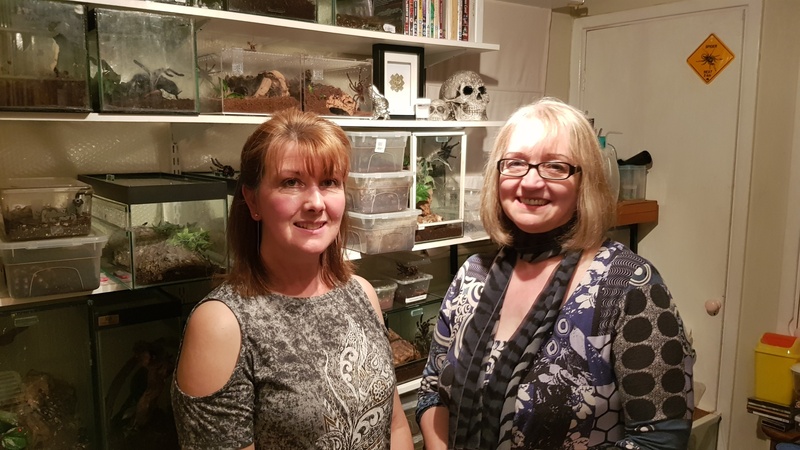 11.30: Group session with Angela Hale from Drusillas and Ray Hale that includes a gradual exposure to the spiders. All spiders are securely held in their tanks that allow the participants to see for themselves these mini-beasts at close quarters. 12.30: An introduction to British spiders and how to recognise and identify them. Learn how to safely, and without fear remove unwanted visitors to your home. 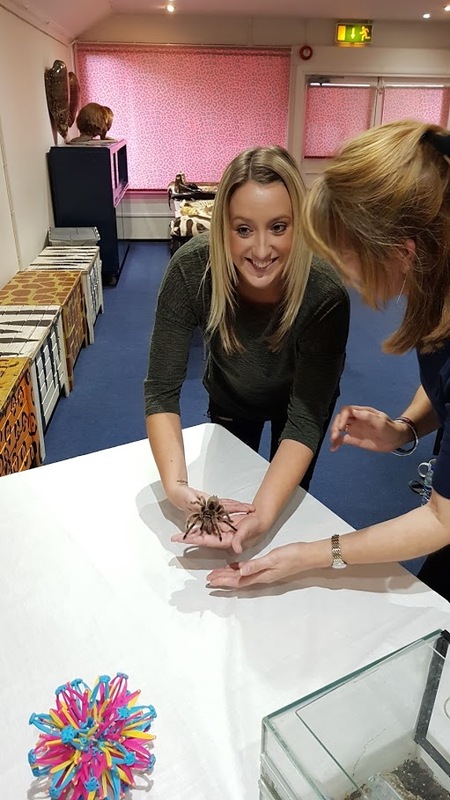 This will be followed by a chance to meet (if desired) some of the spiders more exotic but perfectly harmless cousins…the tarantulas. No refund will be given regardless of the notice given for cancellation. If the course is cancelled by Drusillas Park due to unforeseen circumstances, then a full refund will be given. If you have any questions or require further details please do not hesitate to contact Angela Hale on 01323 874100 extension 201 – we look forward to hearing from you.